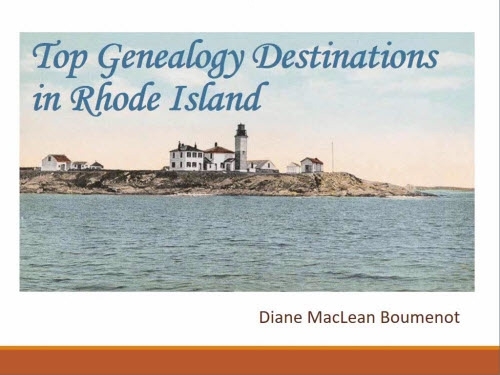 This is the second in an occasional series of articles transcribed directly from The Narragansett Historical Register, a Rhode Island treasure now mostly forgotten. Published by James Newell Arnold between 1882 and 1891, the magazine was devoted to Rhode Island history and genealogy. No longer under copyright, the articles can continue to enlighten us. If the article below makes you curious, check out the full issues and index pages here. Doing this transcription brought an immediate benefit to me – the site of “John Andrew’s house” is mentioned. My possible ancestor, John Andrews, was an early resident of the Quidnessett area (name in green, below). While I’m still trying to determine if Jesse Andrews of Ashford, Connecticut, 1820, is the same Jesse Andrews that was John Andrews’ great-great grandson, this location is a fascinating detail that I could pinpoint using Beers maps from the 1880’s. Two articles were published on Quidnessett and appear below. Maybe you will find an ancestor here, or learn more about the early settlement of the area. The text is rather random and scattered, so I wonder if it was the reminiscences of an elderly person. Note: except for the Quidnessett map, all illustrations are my addition, they were not present in the original articles. Footnotes have been recorded in place. NOTES ON QUIDNESSETT. NO. 1. THE old Quidnessett territory, situated in the northeastern part of North Kingstown, was for many years a prominent part of the town. In early times it could boast of two saw mills, and one or two grist mills. The latter are still receiving the patronage of the region about them. Considerable trade was carried on from the Greene’s, George, and Allen’s Harbor with Newport, Providence, and Bristol. The old sloop, called the “Two Brothers,” from the forge mill and anchor works, and Allen’s sloop, called the “Sea Flower,” carried on quite a trade at those towns. These two old craft were worn out in their service, and were supplanted by the “Emily Ann” and “Lucy Ann.” When the Greene’s retired from business, and John Allen died, the trade at those places nearly went down. It seems to have been variously called. The natives called it Aquitawaset ; the English, Quidnessett. In the deed of confirmation it was indifferently called Wyapumsett, Muscacouage, Cocumcossuck, and the like, if we modernize it. Map of Pettaquamscutt Purchase from Thomas Hazard Son of Robt calld College Tom, 1893, frontis. It is bounded on the north by the Potowomut River. It assumes that name at the Hunts Bridge, and runs to Pojack Point, at the Narragansett Bay. It is bounded on the west by the “Pequot Path,” or ” Post Road,” leading to Cocumsquissut Brook, just south of Smith’s house, or better known as the Updike house. Then it is bounded southerly by the Cocumscussett, or Wickford Harbor, and easterly by the Narragansett Bay. What was sold to Richard Smith and his son, in 1639, was not included in the transfer. By the marriage of Smith’s daughter into the Updike family, this estate, by will, was given by her father, Richard Smith, Sen.; it took that name, and so continued till it went by purchase into the hands of Capt. Joseph Congdon, in 1813. Seven and eight years after Richard Smith, Sen.’s, settlement in Quidnessett, Roger Williams, and one Wilcox, built trading houses about one mile north, and carried on business from 1646, or ‘47, til 1651, when Williams sold out to Smith his trading house, his two big guns, and a small island near Smith’s house, which had been lent him by Canonicus a little before his death. He sold out to raise funds to defray his expenses to England for the second charter. Richard Smith Block-House at Cocumsmussuc, constructed by Richard Smith Junior about 1680 from the materials of the old garrison house. From Providence in Colonial Times, 1912, p46. King Charles I was about to be dethroned and Cromwell installed as Protector. For three years was Roger Williams away from his family and home on this mission. John Clarke, of Newport, was his colleague, and remained the whole time, till the charter was granted in 1663. This trading house of William’s, tradition says, stood where Wm. G. Madison’s north barn now stands. It was Judge Sherman’s opinion, and Judge Brayton coincided with him, that Canonicus and Miantonomy resided nearby, opposite on Fones’ purchase, within twenty or thirty rods of the “Devil’s foot-tracks,” in a northerly direction. Here is where Roger Williams wrote the famous Cocumssquisset letters to Gov. Winthrop and Major Mason. Near this place have been exhumed Indian skeletons and relics. On the Updike farm is a cemetery where are as many as seventy-five or eighty graves with headstones, called the “Indian burying ground.” On the opposite side of the road is another. It was not the custom of the Indians to designate the resting place of their dead by stones. Richard Smith and the Updikes were interred not far from the first place mentioned. 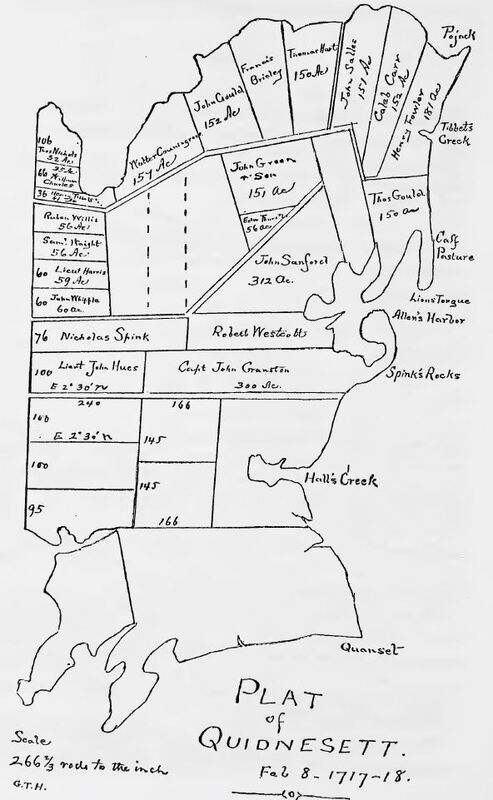 The next year after the deeds of Quidnessett were given, several of the citizens of Newport, Portsmouth, Providence, and Warwick, to get the lands of the Narragansett Country out of the hands of the Plymouth and Connecticut Colonies, came on and purchased farms on the bay and the Potowumut River, extending over half of the Quidnessett territory. They were some of the most prominent men of those towns. Thomas, and John Gould, Henry Fowler, John Hulls, Robert Carr, Thomas Hart, Francis Brinley, Walter Couningreve, Thomas Nichols, and sons, Henry Tibbett’s, Samuel Waite, Nicholas Spink, Capt. John Cranston, Robert Wescott, John Sanford, Edward Thurston, John Greene, and son, Valentine Wightman ; these were the first settlers, and soon after a second class bought in the south part of the district : John Eldred, William Dyre, Arthur Aylesworth, John Allen, and Henry Reynolds. John Greene and son owned more acres than any others for several years. 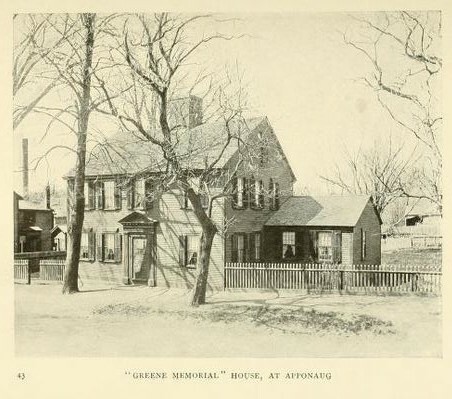 John Greene was the son of John Greene, the physician of Salesbury, England, who was one of Roger Williams friends of the second arrival. John the second was in office in the colony the most of his life ; was ten years Deputy Governor. John Cranston was Governor two years and died in office. Governor William Greene and Governor Waud owned said estate in Quidnessett. To strengthen her position, the Connecticut colony laid claim to Potowomut and Muscachuage, or Muskachuge, as far as Cowesett., afterwards embracing all of Greenwich, which was laid out and organized into a town in 1677. The small territory, Potowomut Neck, under the Sagamore Tucomanan, lies between Greenwich Harbor and this river. It is an integral part of Warwick, though detached from it. In the mortgage deed given to Major Atherton & Co., it was claimed to Cowesett, including Potowomut and Muscachuge. This latter place was between Cowesett and the upper part of Quidnessett. During the strife between the Colonies (which Professor Greene says lasted twenty years), the Connecticut Colony did not only claim the Narragansett Country, but a part of Kent County. The Quidnessett people speaking for Narragansett, or the “Kings Province,” as it was styled, were very assiduous in their endeavors to inhabit every part of it. 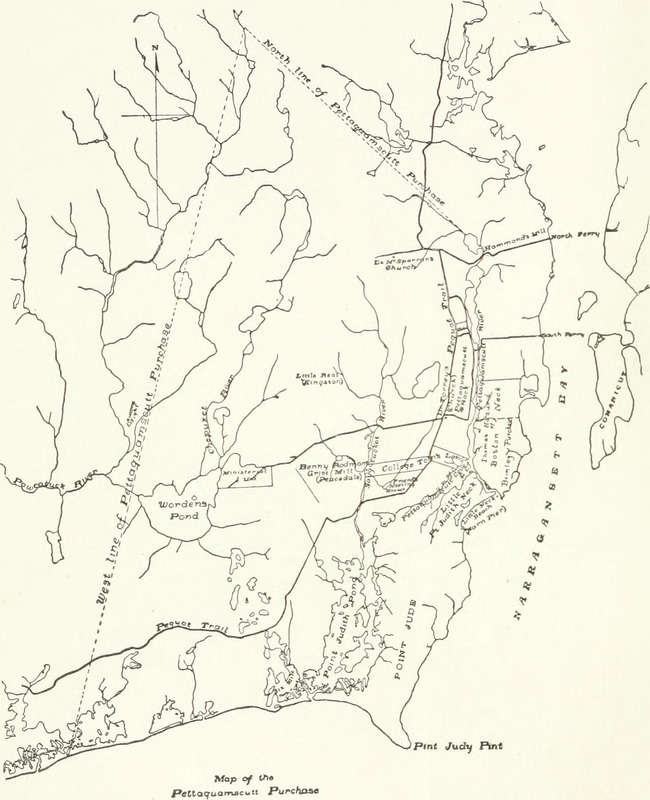 “We received a letter from Major Cranston, at Narragansett, that himself with six others of the assistants belonging to Rhode Island, as we were informed by his messengers, and that with them were come forty men to be settled in plantationwise at Elizabeth Springs, north of Mr. Gould’s, about three miles toward Boston, and answer was returned to the said letter. 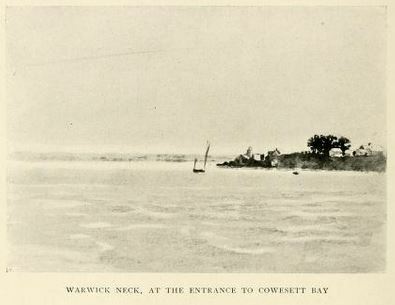 Warwick Neck, at the entrance to Cowesett Bay from Narragansett Bay, Its Historic and Romantic Associations, p34. These springs were about three miles from the place where Mr. Thomas Gould then lived, on the Mount farm. They were called ” Elizabeth Springs ” in honor of Roger William’s wife. By what rule it is difficult to tell, as her name was Mary. 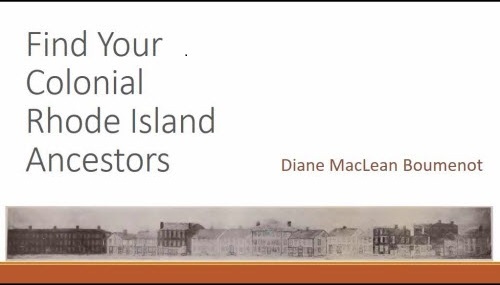 Tallcott and Banks must have been much discouraged when Major Cranston wrote them about what numbers had flocked to that locality to settle ” plantation wise.” Their report to Connecticut gave but little hope that the Narragansett Country will finally be a part of her coveted domain. Muskachuge was as much a territory as Cowesett, or Apponaug, only not so extensive. It was bounded on the north by Cowesett, Division street in Greenwich, and the continuation west forms the dividing line between Greenwich and Warwick. The north line of ” Fones’ Purchase” commenced at a rock on the River Passatuthonsu, the river above “Hunt’s Bridge,” on the ” Post Road,” running straight north to a river running into the Muskachuge Cove. Then the line follows the road easterly to the Potowomut River, as high as salt water. The ford where people crossed the river was at Greene’s forge mill, and was passable only at low water. Before the dam was built it flowed up as high as Thomas Hill’s house, a little west of it. From this point the line ran partly in a southwesterly direction straight to John Andrew’s house on the “Post Road,” thence to the Devil’s foot rocks. 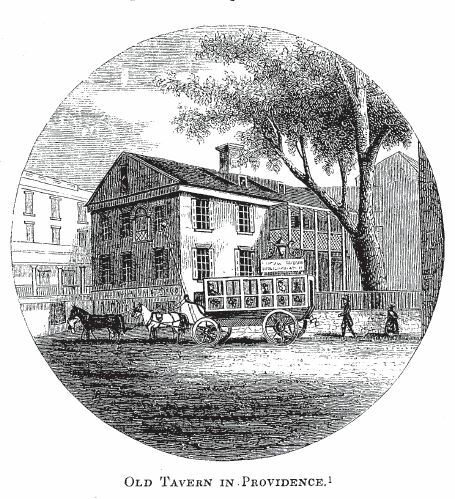 Samuel Austin’s house is near the place where Andrew‘s house stood. Hon. George A. Brayton left among his papers the original map of the Potowomut District on which are dotted the houses of the first settlers who inhabited that fertile region. It extended as far west as Hunt’s Bridge. In 1680, Warwick and Kings Towne both claimed it. The first bridge over the Potowomut river at the ford was built from the duty on imported slaves brought into Newport and sold in 1715. The streets of that place were paved from the same source at the same time. We well remember the old Anchor Forge of the memorable Greene family, the bellows and famous trip hammer made to strike the heated iron by a revolution of an immense wheel turned by water power, then five stalwart men who struck the battered iron till it was wrought into an anchor that would weigh when completed eighteen or twenty hundred pounds. There was an old corn and wheat mill with wheels sixteen or eighteen feet in diameter running two sets of stones, and last not least, Christopher and Elisha Greene (brothers), one in charge of the mills, and the other of the anchor works. Though quite small in the last days of that ancient old mill, I can call to mind these venerable old men as though it was but yesterday I saw them. The old Narragansett pacer that carried me and my “grist” to that renowned place have often fed my mind with youthful visions of the romantic place. Often the bushel and a half of corn to be ground for “Johnny cake meal,” challenged all the strength Uncle Christopher and I had to get it from old Grimes’ back, and the hopper two flights of stairs above. The old flat-bottomed sloop, “Two Brothers,” mastered by Wickes Hill, Daniel Mitchell, and Benj’n Gardiner, and the “Emily Ann,” built at the forge mill for Judge Greene, mastered by Benjamin Gardiner and Henry Reynolds. early map of Quidnesset from Narragansett Historical Register, volume 5, p 62. NOTES ON QUIDNESSETT, No. 2. There are but few portions of that ancient town that can boast of better farms, or more eligibly situated, than those on the Narragansett Bay and Potowomut River. The Gould’s Mt, farm, laying on the bay and Quidnessett harbor, (now known as Allen’s harbor) was undoubtedly the first piece of land bought of Maj. Atheton, &c, after the settlement of the Smith’s. Thomas Gould became early in life a prominent man in the colony, and was repeatedly elected an assistant or deputy in the Colonial Assembly from Kingstown. When the General Court met at his house, by adjournment from Pettaquamscut, May 18, 1671, he was elected Conservator of the Peace and sub-tenant. The court was held to engage the people in that locality to adhere to the Crown of England and the Rhode Island Colony. Some were disaffected and clung to Connecticut. The Smith’s held sometimes to one, then the other, and the question who owns the Narragansett country? harassed the people from 1639 to 1703, when the matter was settled and the Rhode Island Colony was triumphant ; and the Narragansett Country comprised, as it does now, Washington county. 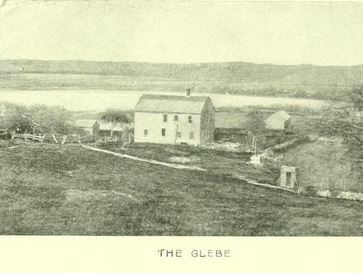 The Glebe – a parsonage, from Narragansett Pier, R.I., page 37. Thomas Gould, James Reynolds, George Tibbetts, and some others were arrested and taken to Hartford and confined in prison for adhering to Rhode Island. They sent a petition to the Colonial Assembly at the May Session, 1677, for instruction, assistance and advice. The Assembly “having seriously considered the matter,” ” voted unanimously that they would vindicate their cause, and if they suffer in their persons, or estates, this Colony will stand by them, assist them and relieve, by all lawful ways and means.”—E. R. Potter, 197. This occurred early in May when seed time was near at hand, and they could not afford to lose it, so they compromised the matter by a promise that they would adhere to Connecticut Colony, and on that ground they were released under an oath to return to their homes in Quidnessett, but that greedy little Colony forbade them yielding to any other power or State. Thomas Gould was the second son of Jeremiah Gould who came from Dorchester, England, to Newport, R. 1., in 1637. He was born about 1623. He was married to a daughter of William Baulston, of Newport, in 1655. They had no children, and he gave his farm to Daniel, Jr., his brother’s son, who went to live with his uncle soon after he was married. Daniel married Mary, daughter of Walter and Hannah Clark. They had two sons, Jeremiah and Daniel; Jeremiah inherited the Quidnessett farms, by will. He was a distinguished man — was 24 years in the Colonial Assembly—three times elected speaker of the House—was a justice of the Interior Court of Common Pleas—was a very prominent member of the Society of Friends—eighteen years he was clerk of the monthly meeting. Owing to ill-health he was obliged to retire from office two or three years before his death. 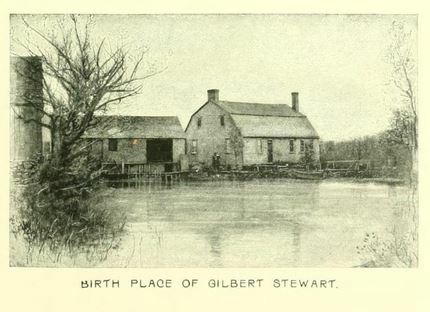 Nearby birthplace of Gilbert Stewart, from Narragansett Pier, R.I., page 36. For many years in his political life the Friends had full control of the Colonial Government of Rhode Island. He made his will and divided his effects among his numerous family, and departed this life July 7, 1740. He married Elizabeth Ward, daughter of Thomas Ward, of Newport. They had seven daughters, and one son, Daniel, who married Mary Fry, daughter of Thomas Fry, of Frenchtown, East Greenwich. Daniel was a very promising young man. He was elected to the lower house of the General Assembly in 1745, and died while in office. He left with his wife one daughter, Mary, who married John Allen, (afterwards Judge Allen), and one son, Thomas, who lived in celibacy, and died in 1836, aged 92 years. 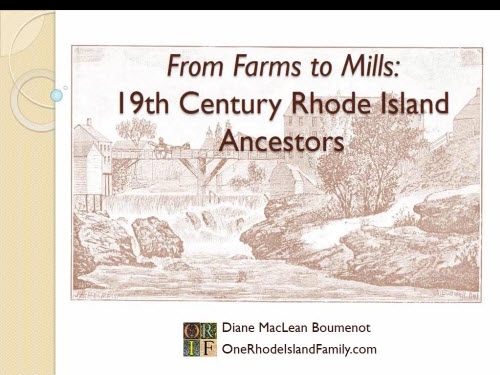 The farm stood in the name of the Goulds 175—in the Goulds and Aliens 200 years. Early it took the name of “Mount Farm ” from a large clump of rocks towering 40 or 50 feet above tide water, 5 or 6 rods from the shore, running N. E. and S. W. an eighth of a mile long, and nearly the same in width. Among the rocks grew large trees, walnuts, oaks, locust and cedar, barberries, buckthorn, amasadutrious vine, ivy, and clematis. It formed a lair for cattle to lodge in nights before barns were built. It was a noted place for clam bakes long before the watering places were thought of in Rhode Island. The view from the top of the mount upon the Narragansett Bay—its islands, villages and cities are delightful to those who are fond of gazing upon the sublime and the beautiful. Thomas Gould, 1st, imported the first barberries in this country. He planted and cultivated a hedge about his house. In time the birds spread the seed till all Rhode Island was supplied, and Connecticut as far as the river. Soon after some man in Plymouth, Mass., imported them in the same way, and they have spread extensively in every direction in that State. Many years ago it was believed they were poisonous to rye, and a law was enacted requiring every farmer to destroy them, but in spite of the law they have lived near a hundred and seventy years on that farm ; except at the Mount they have nearly disappeared. The hawthorn, the buckthorn, and the primbush were imported from England early in the settlement of the country. All of them were grown on the Mt. farm, but the woodman’s axe destroyed them long ago. 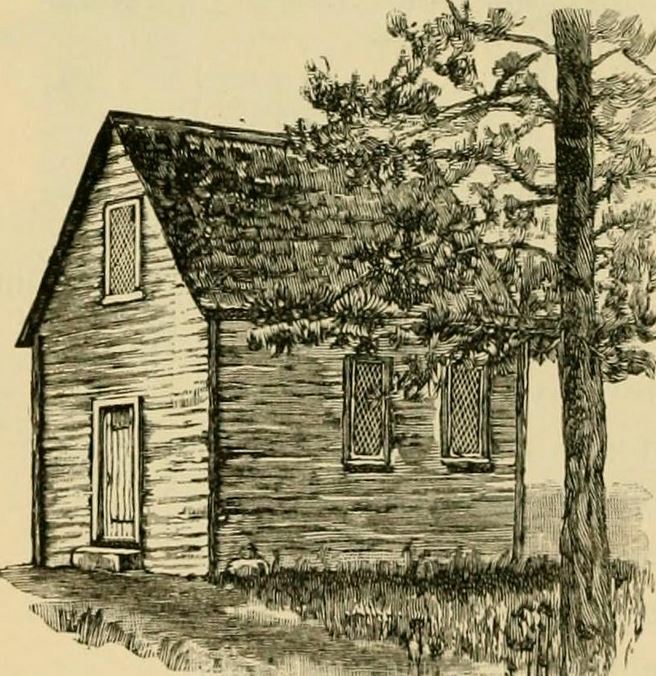 Thomas Gould built him a log house to begin with, and after a few years he built a frame house, one story high, and as the families increased in numbers, additions were put on one end till the house became one hundred feet long. It was found more convenient to build on the end than above stairs. 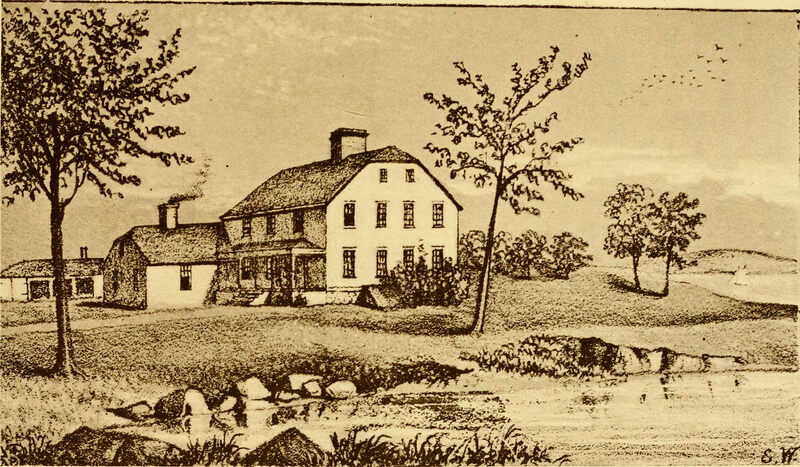 Daniel Gould enlarged it when his family was increased, and Jeremiah enlarged it when his family was increased, but in 1766 it became untenantable and was abandoned. Soon it fell down. The chimney stood till 1791 or 1792 when it was pulled down. The lime used in the mortar was made of shells from the shore nearby, and was very strong. The mortar is seen on the stones in a wall nearby to this day. The Goulds carried on a lucrative trade with Newport from the earliest settlement of Quidnessett ; grain, mutton, beef, and poultry, and such other commodities as were demanded from time to time. Cattle, sheep and horses were introduced as early and as fast as they could be had. Boats of large dimensions were built to accommodate trade between Newport and Quidnessett harbor early in Thomas Gould’s day, and he accommodated his neighbors as well as himself. The north part of this territory was thickly settled by 1666, and in 1671 the Dyers, Eldreds, John, Viall, Lodowick, and Richard Updike made their appearance. Viall was of Boston, and married Richard Smith’s daughter. He lived in Quidnessett but a short time. “Seconiquonset Point,” a prominent place in the south-east part of Quidnessett, was changed to “Quonset ” by the English. The British ship, Armada, went ashore on the north side of that point in 1780, loaded with supplies for the British army and navy. 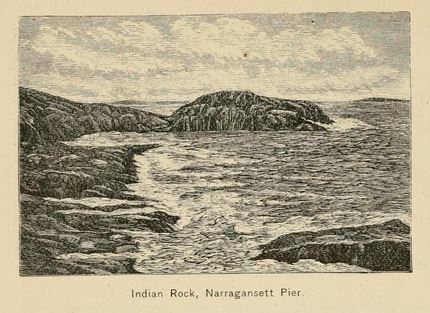 Indian Rock, Narragansett Pier from Picturesque Rhode Island, page 292. There don’t appear to have been any Indian name for the N. E. point of Quidnessett unless it was Potowomut, but some years later a name was accidentally made for it that is very quaint and answers every purpose quite as well. 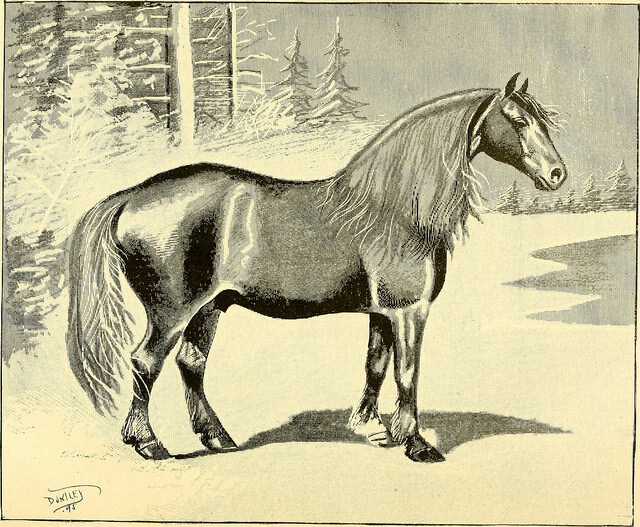 “Pojack,” or ” Poorjack,” had its origin with some clam diggers who resorted to that place to get clams, when one of them had an uneasy horse that got loose and set out to swim across the river to Marsh Point on the opposite side. His owner dropped his hoe and ran to catch him while he was floundering in the mud, repeatedly muttering, ” Whoa, Poor-Jack.” By dint of effort and the help at hand, the poor horse was turned about and got to the shore so badly frightened he never attempted it again. The word poor was easily changed to Po, and prefixed to Jack, making ” Pojack.” This name was so called anterior to the Revolutionary war, as Capt. Josiah Gribbs was ordered to march his company around from Warwick Neck to “Pojack Point,” meaning Gould’s hill, just above the house. That occurred in 1779 when the British were in the Bay. Spink’s rocks, just outside of Allen’s harbor, was a rocky place made notable by the capture of William Spencer and John Allen in 1779. “Calf-pasture,” (” Lyon’s Tongue,”) was another place made famous by the British trading with the Tories and semi-tories of Quidnessett. Capt. Mat. Manchester was one of the latter class. 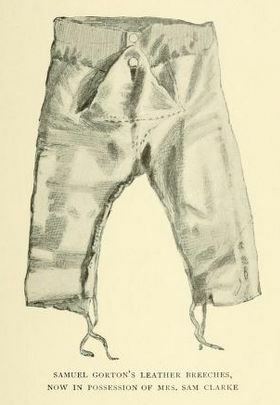 Samuel Gorton’s leather breeches from Narragansett Bay, in Historic and Romantic Association, p37. Came across Warwick founder Samuel’s Gorton’s pants while researching this article. “Now in the possession of Mrs. Sam Clarke.” I wonder where these are now?